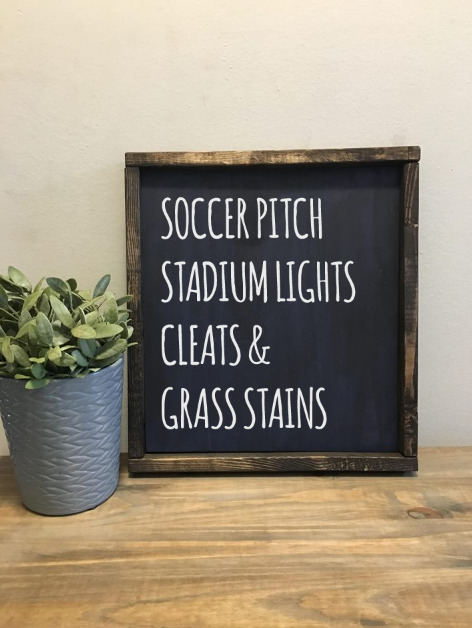 Soccer pitch, stadium lights, cleats & grass stains. Pick your teams colours as base! Signs may include rustic imperfections including non-structural cracks, little nicks, knots, or rough areas on the wood. These are rustic wood signs and we are not trying to create a product that appears machine made/printed. Each piece of wood takes on paint/stain differently, some can appear darker or lighter than others, depending on knots, grain etc.